Spring Vase is inspired by the simplicity of Japanese design. 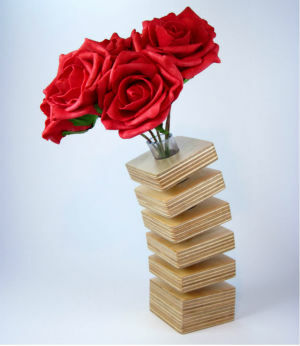 Designed by Samuel Ansbacher for Mocha, the vase is handmade in solid plywood. The apparent simplicity of its form belies the complexities of the design. Wooden layers seemingly float upwards, gradually curving into a gentle arc. A semi flexible silicone core flows through the centre to hold flowers and help support the cantilever. The overall effect is one of lightness and tranquility. The name of the vase has a double meaning: its shape is reminiscent of a spring about to release – and it also resembles a plant swaying in the gentle spring breeze. Spring Vase works beautifully on its own as a decor accessory, or with the addition of a few simple flowers. Arranged in a group, the vases can be used to create a sculptural display in different configurations. 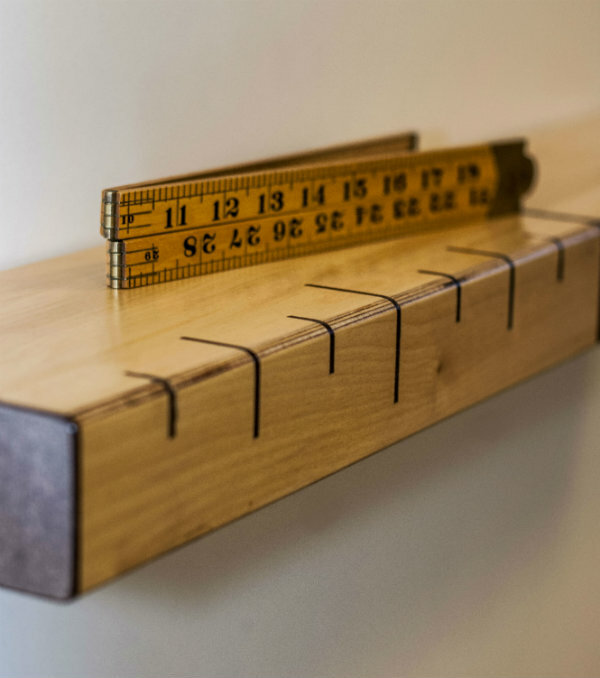 Ruler Shelf is a floating wall shelf inspired by vintage yardsticks and Mid-Century modern design. Designed by Samuel Ansbacher, exclusively for Mocha, the shelf is handmade in plywood. It features dark inlays which resemble ruler markings, and rounded profile edges on the front. 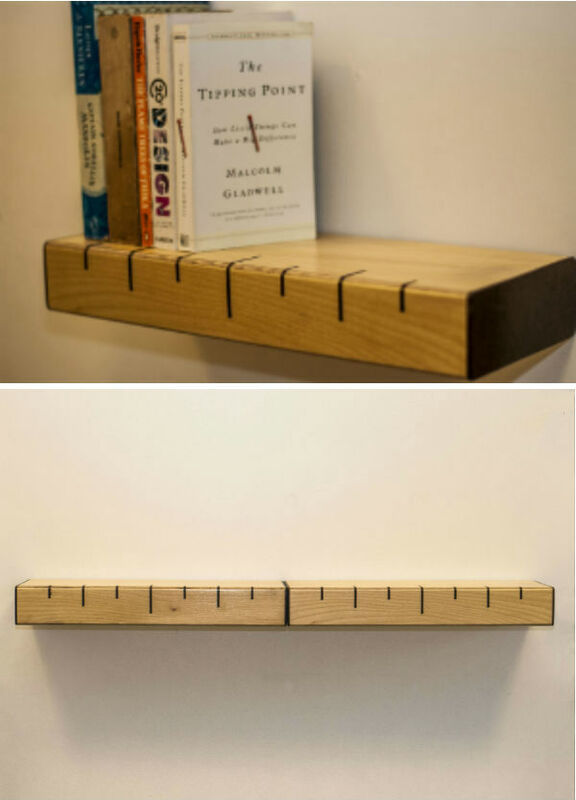 The shelf is designed so that it can either be hung on its own, or side by side in a series to create the impression of an extra long shelf. The versatile Ruler Shelf is perfect for displaying decor accessories, as a bookshelf for paperbacks, or to add a vintage touch in the kitchen. And it’s a great way to add some character to the interior of a home office. 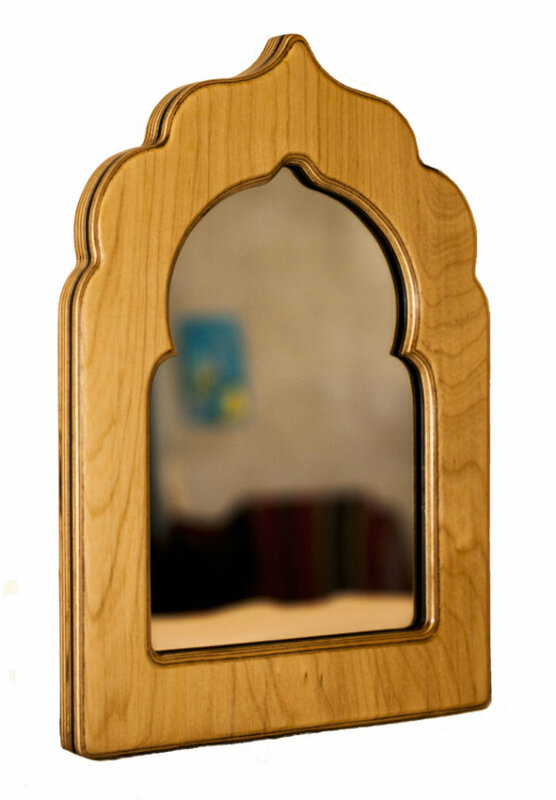 Arch Mirror is a fresh new design inspired by Mediterranean and Scandinavian style influences. The wall mirror is designed by Samuel Ansbacher exclusively for Mocha. It blends the modern clean lines and material typically used in Scandinavian design, together with the outline of an intricate arch traditionally found in Mediterranean and Moorish architecture. The result is a truly original creation. 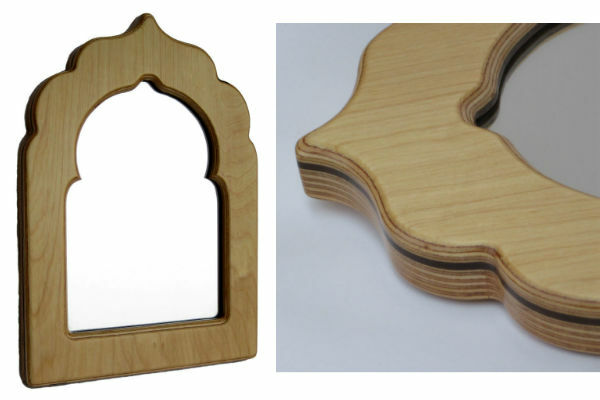 Arch Mirror is handmade in solid ply and features delicate dark inlays within the wood. Perfect for a contemporary interior, the mirror is a striking decor accessory for the hallway, lounge or bedroom.